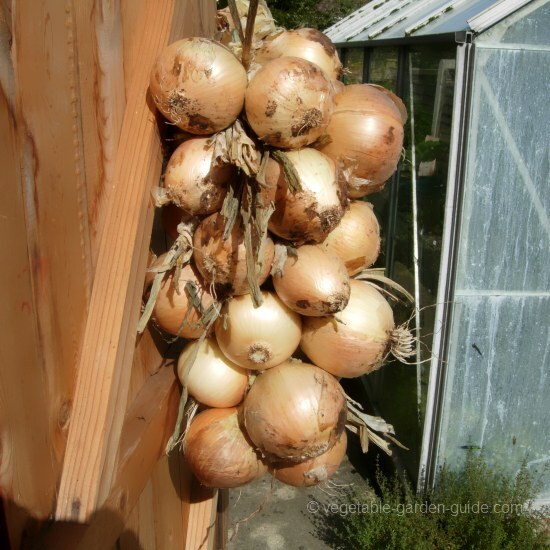 Welcome to my growing onions picture gallery. 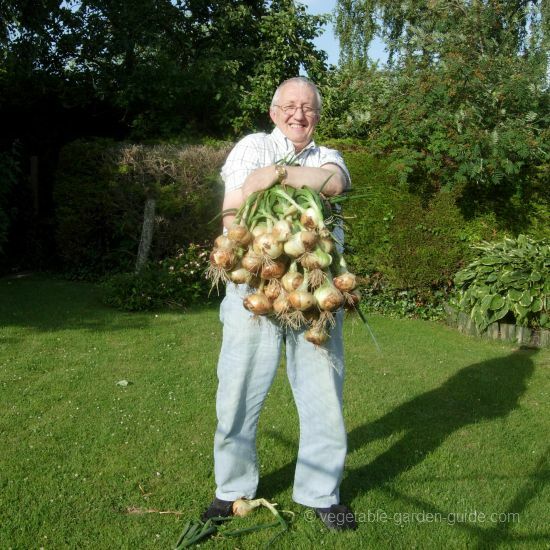 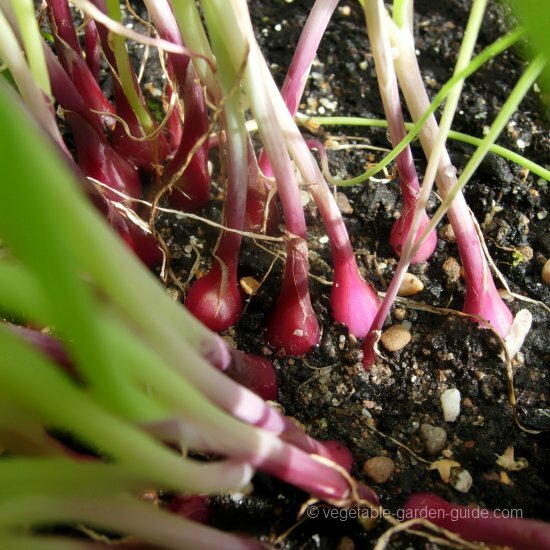 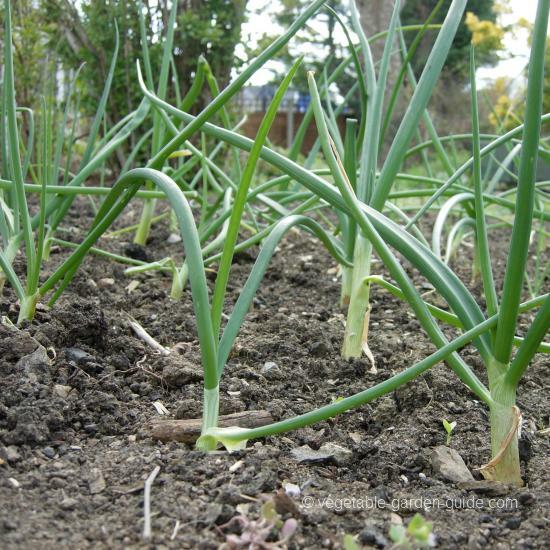 Just click on any thumbnail picture to enlarge it and/or click on the link below any picture and you will be taken to a page where you can follow in-depth instructions on how to grow onions - the link will open into a new browser, so don't worry you wont be taken away from this page. 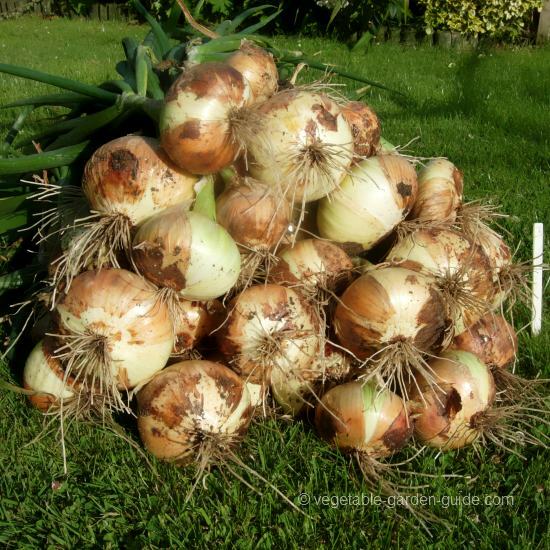 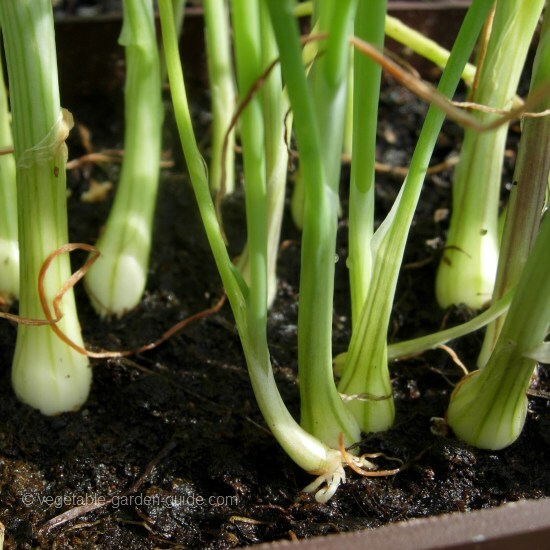 Plant onion seed for main crop or summer onions in March and winter or Japanese onions seed in August. 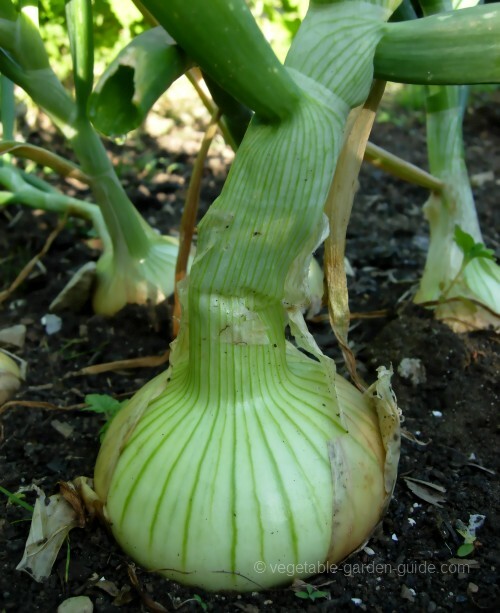 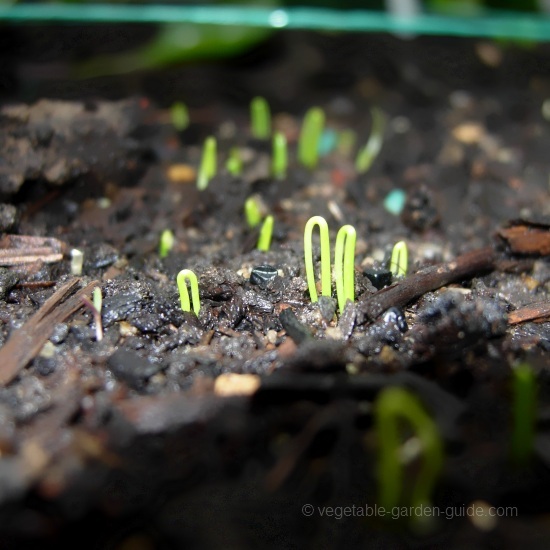 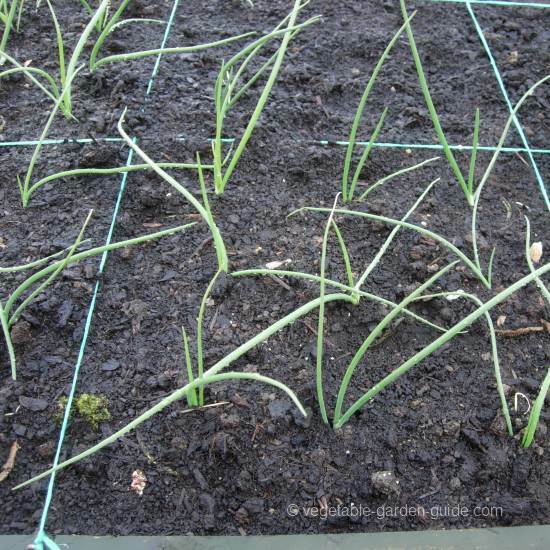 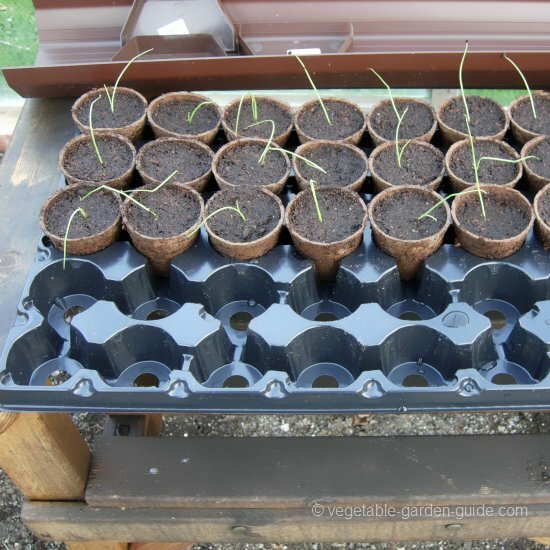 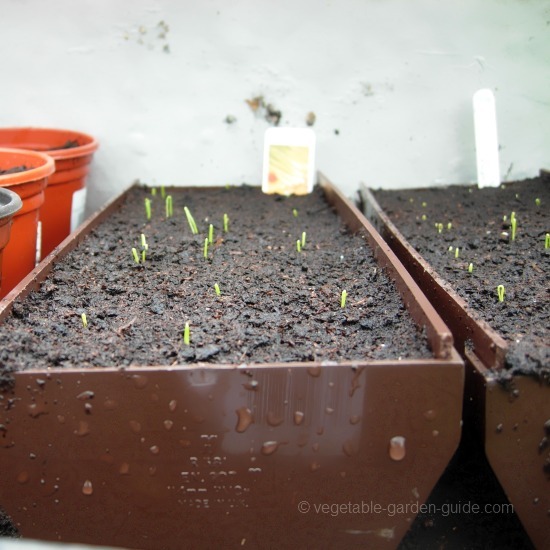 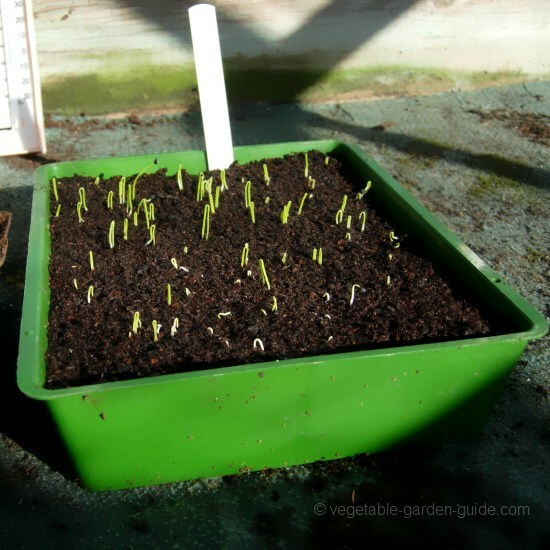 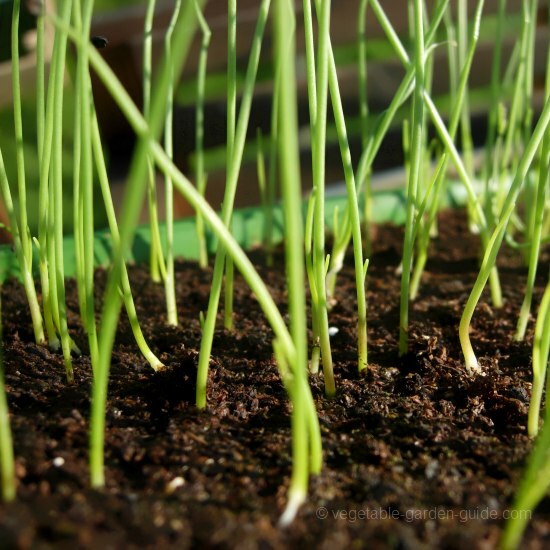 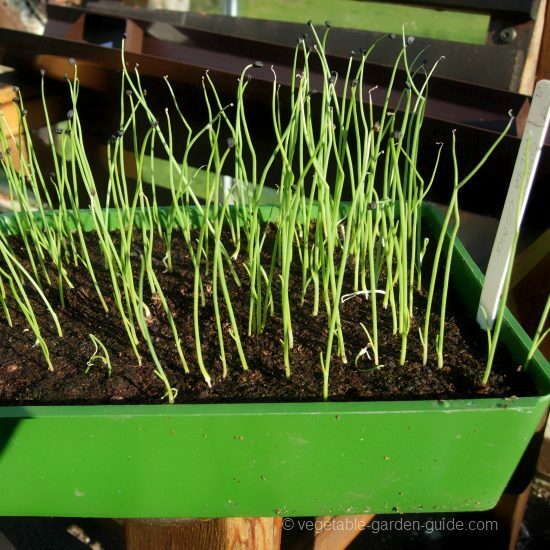 Main crop onions seed can be sown during February if indoors - greenhouse (heated propagator) or sunny windowsill. 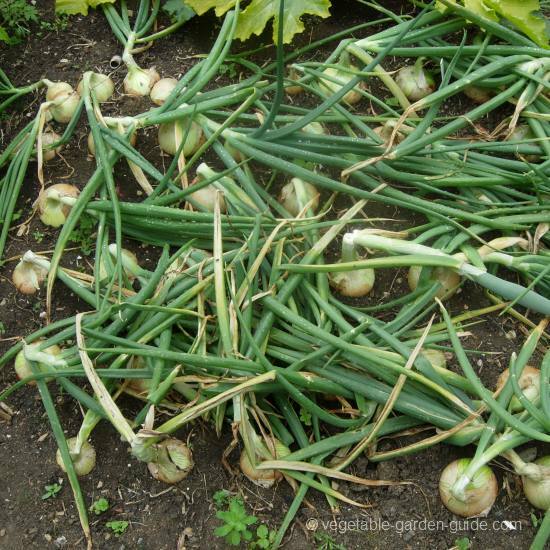 But most people find it easier and more conveneient to plant onion sets - buy the heat treated varieties so they don't run to seed. 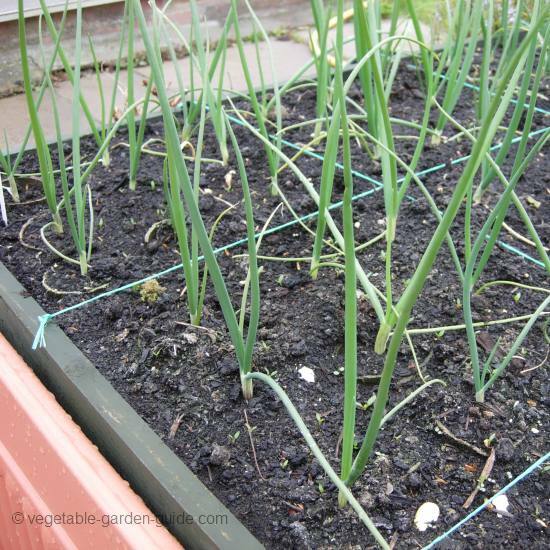 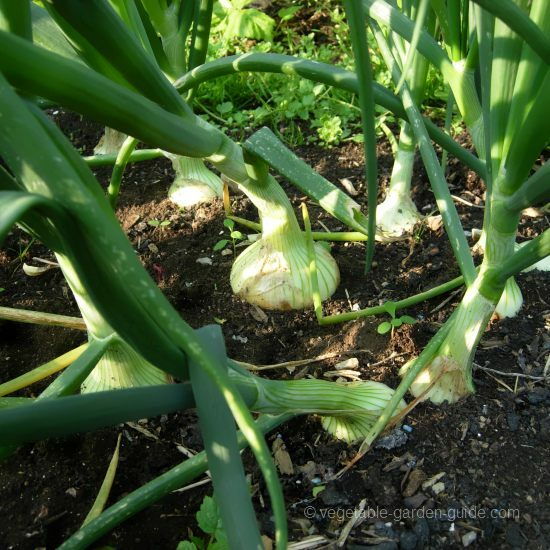 Plant main crop onion sets in March/April and over-wintering onion sets in September/October, spacing them 10cm(4") apart in the row and the rows 20cm(8") apart. 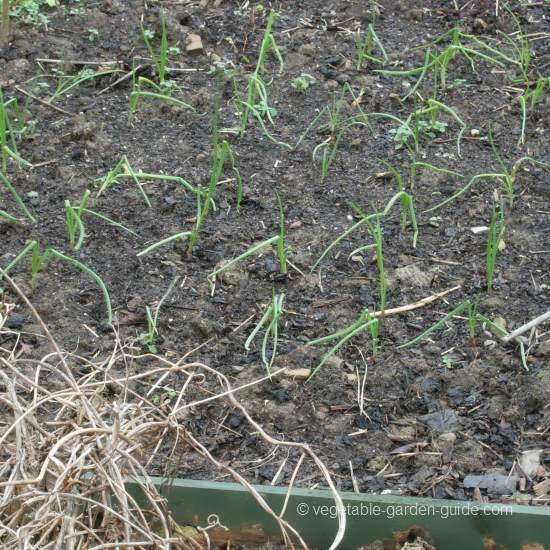 Routine care consists of keeping the plants watered in dry weather so growth is not checked (paused) and regular weeding as they don't do well being smothered in weeds. 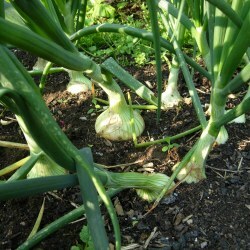 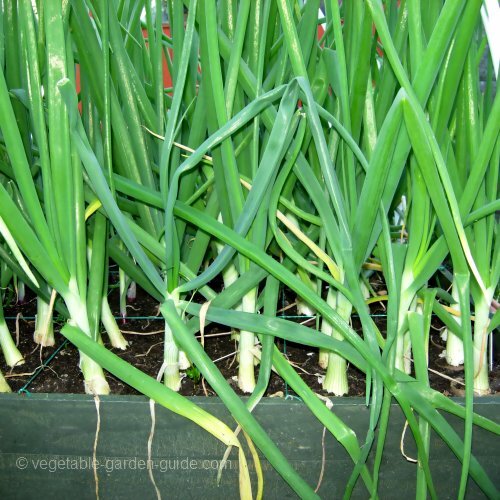 Sow a short row of spring onions every 3 or 4 weeks from early March to late July. 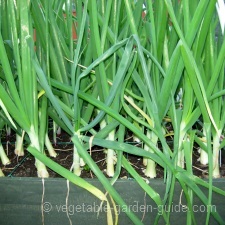 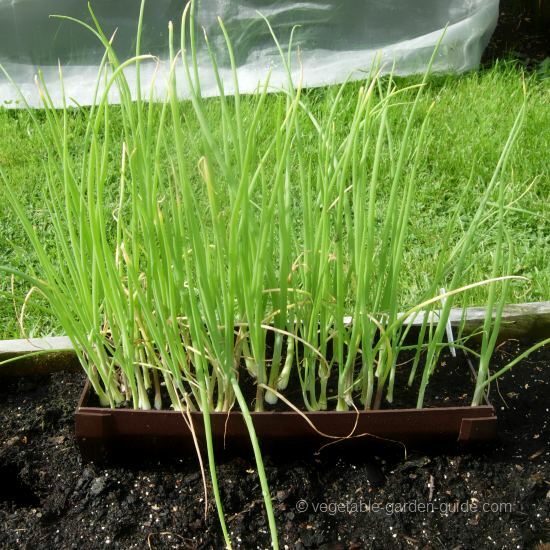 You can then sow an over-wintering spring onion variety from August to the middle of October. 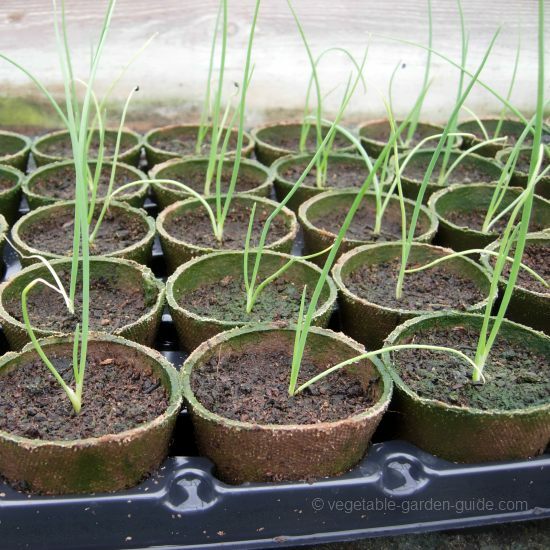 Sow the spring onion seed thinly and thin out to about 25mm(1") should you require a more developed plant - but it's not really necessary.